Get ready to eat, drink and dance! 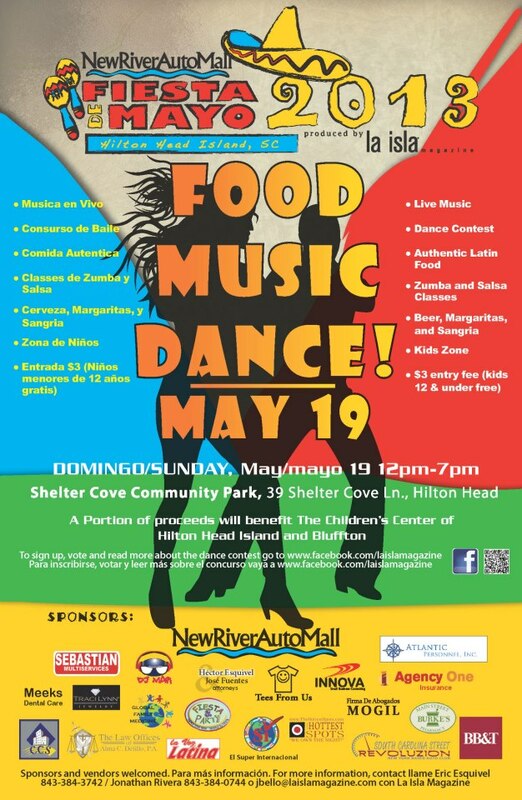 Fiesta De Mayo will be held this coming Sunday, May 19th at the Shelter Cove Community Park from noon-7:00. 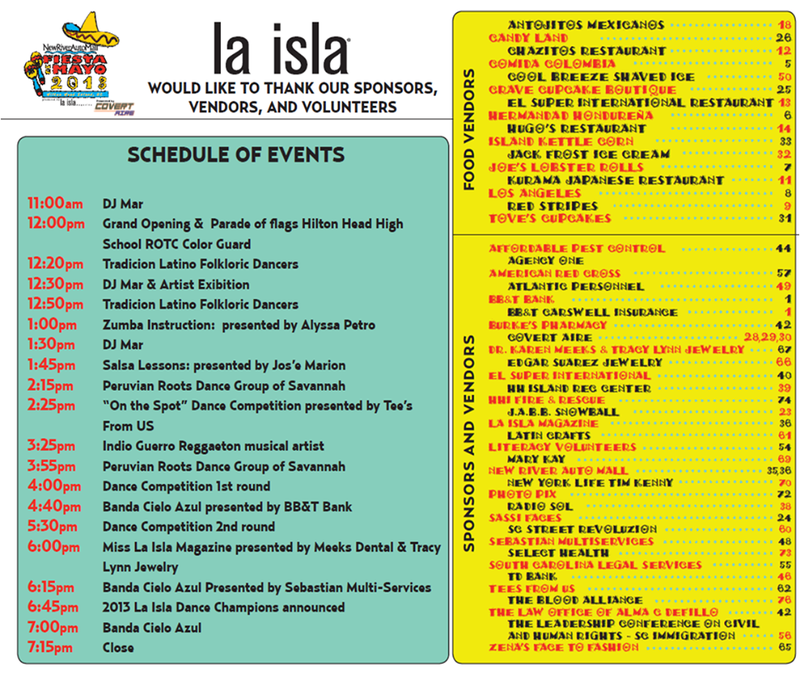 This event will feature Latin dance groups, bands, dance lessons and competitions, an authentic Latin food court and a kids area. 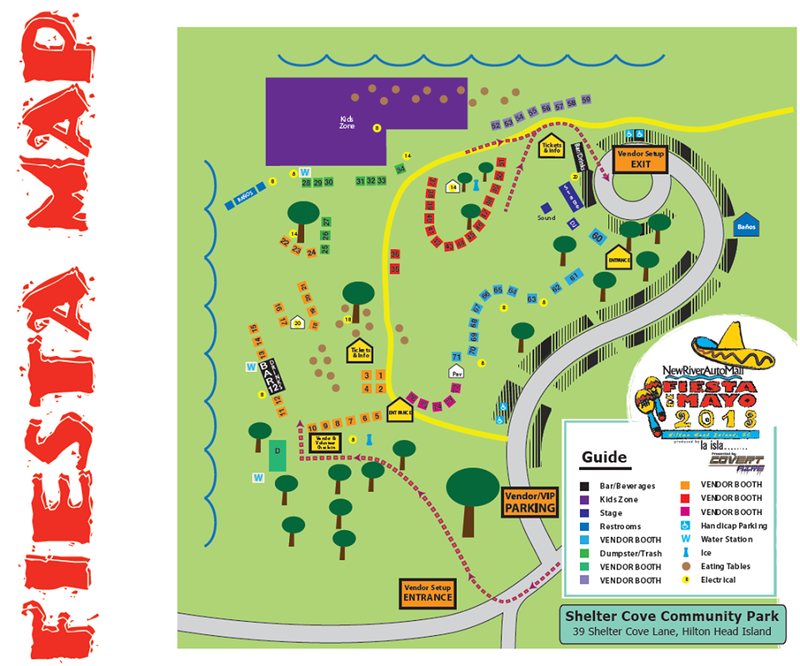 $3 admission, kids 12 and under are free! PizzaPalooza-Sundown Celebration on the May River — The Windmill Harbour Boat Show!